Signature T inset at temples. "Eric" is made in Italy. 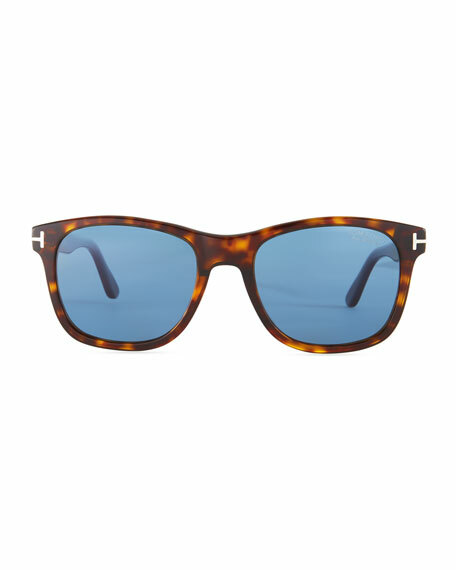 Garrett Leight "Linnie" aviator sunglasses. Lens/bridge/temple (in mm): 51-18-145. Monochromatic, CR-39?? lenses. 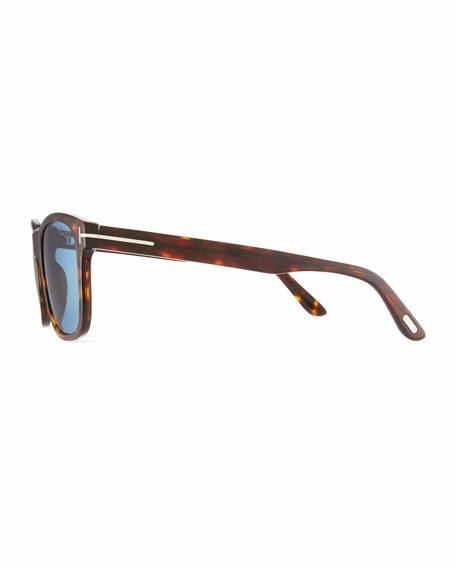 Windsor rims; cured cellulose acetate temples. Metal double-stripe detail wraps hinges at temples. Stainless steel frames. Double keyhole nose bridge. 100% UVA/UVB protection. Imported. 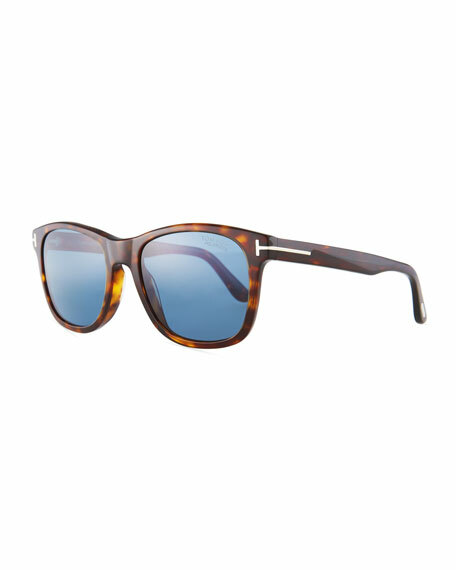 Moncler round sunglasses in acetate. Lens/bridge/temple (in mm): 52-20-140. Solid lenses; logo script. Leather side blinders and nose cover. Logo detail at hinges and nose bridge. Can be fitted with prescription lenses. 100% UVA/UVB protection. Made in Italy.